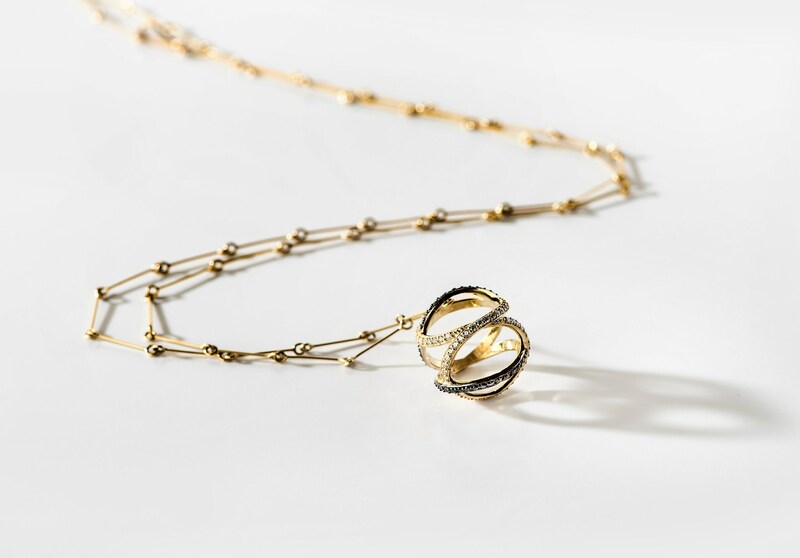 The Infinity Sphere necklace is crafted in 18K gold, hallmarked in Cyprus. 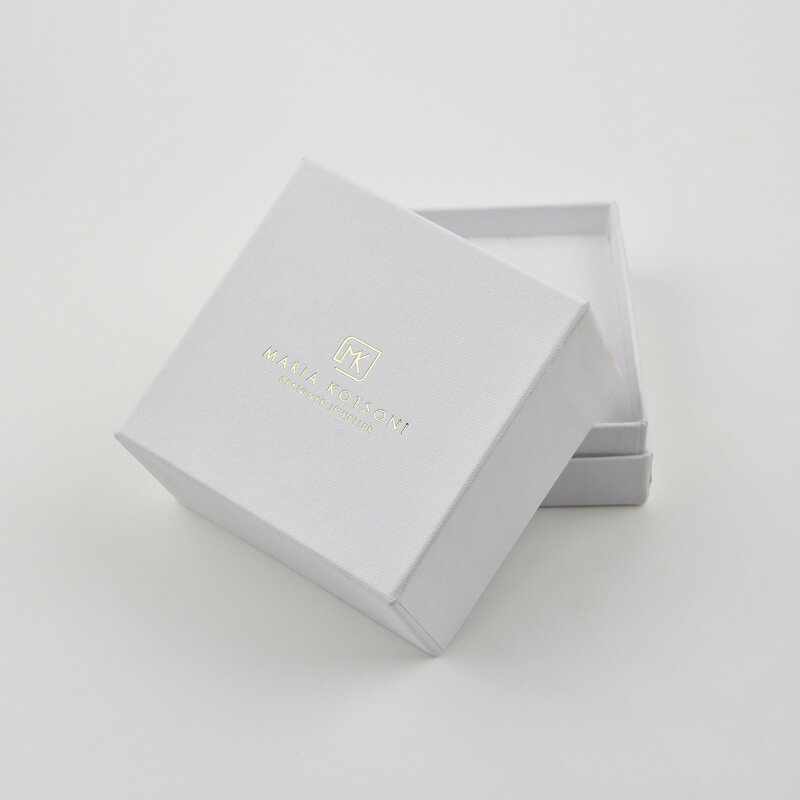 This elegant pendant set with 0.52 ct. White V.S. and 0.47 ct. Black Diamonds, comes in a highly polished finish with a long, handmade, linear chain featuring a discreet, traditional spring closure. It consists of two interlocking infinity figures entwined and is symbolic of harmony achieved through the union of equals. 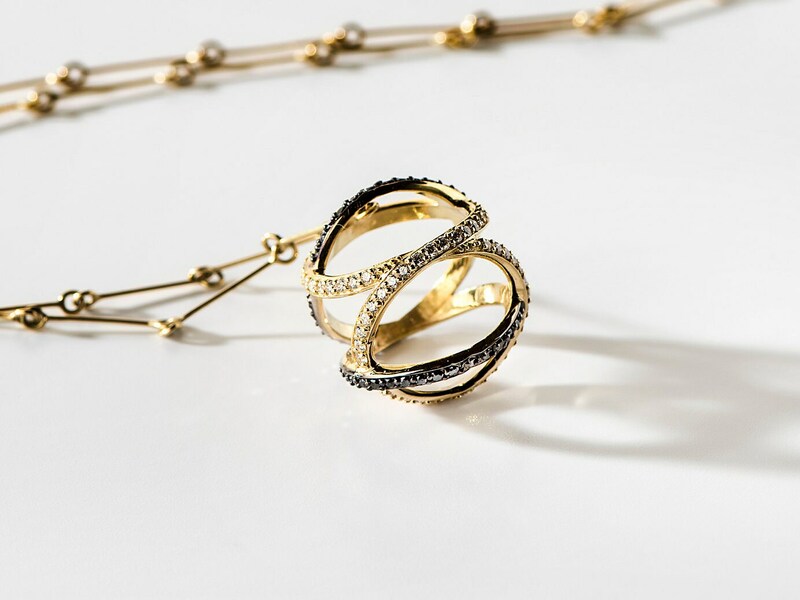 The infinity Sphere charm pendant is part of the designers 'See through me' collection.